Claim extra deals, every week! TGIF, it is weekend and time to look for the best deals at our favourite gaming hangouts. Casino Heroes is back this weekend with another special Ruby Store Sale. Exchange your points for a range of bonus spins on a selection of slots and pay less until midnight on Sunday. Then return on Monday to find out what the next offer is all about. All regulars at Casino Heroes will be enjoying daily treats from the Boss nearly every day this month. 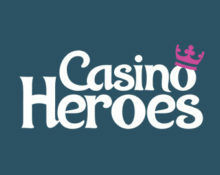 Do not miss the latest offers from The Boss when you visit Casino Heroes this week. All bonus spin winnings will be credited as bonus money. Maximum bet while wagering is €5.00, any winnings from higher bets may be removed. 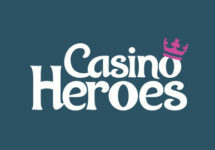 Casino Heroes Bonus terms and conditions apply, read them carefully to avoid disappointment. Login today until 23:59 CET on Sunday and enjoy a 10% discount on Bonus Spins or wager-free King Spins on the tagged games. Wagering requirement on the standard Free Spins is 40x FS winnings within five days, subject to the Casino Heroes bonus terms and conditions.